On March 30th we are offering a brand new interactive training program designed to develop and prepare you to a lead a codependence ministry that heals the heart. If you have done training in the past, this is altogether different! Our certified group leaders will partner with our organization and become an extension of what we do. This means your group will be listed on our website and we will interact with you and work to be a resource to you. What if I’ve trained in the past? The group leader certificate we offered in the past will not be eligible for this same resources. However, reach out to Stephanie Tucker and you can upgrade that certificate for this one. The reason it doesn’t transfer is because the seminar training is a requirement. What makes the content different? 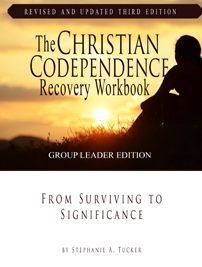 Is it still based on The Christian Codependence Recovery Workbook? Yes it is formed around the basics of our workshop process. The seminar training is developmental and will push you beyond the principles of the book. This is an interactive training – you will learn and then apply in various projects.However, you will receive access to a course that will encourage you to follow the book chapter by chapter. Is this only for professionals? Absolutely not! This is being taught for the church, not for a professional practice. If you work in a clinical practice, this will without a doubt give you effective skills. What CEU’s are you offering? The certificate costs $95 which includes the seminar, online course, certificate and facebook support group. If you come just for the information you only have to pay $20. CEU’s are available as a bundle. For certificate and CEU’s it’s $125. CEU’s only $80. What about A House that Grace Built? I will send out a link after this training that will allow you to upgrade for this certificate. This training is for both books, but you’ll get access to another online course. A journey of hope, healing, empowerment and transformation. The Christian Codependence Recovery Workshop is a spirit-led process of self-confrontation and truth-finding. We take a look at learned relationships skills and understand how we interact with God, ourselves and others. Then, we apply the radical and perfect relationship skills formed by our Creator. Through principles of redemption, healing and restoration, this workshop will help you overcome the pain of the past, and offer hope for the future. It will also empower you to stop participating in unhealthy relationship cycles by giving you the ability to make choices that align to God’s heart, and His purposes. You will begin to build healthy boundaries, and find stability in the love of Jesus. Above all, this workshop will help you discover your authentic identity and purpose and to enable you to become who God created you to be. Focus on the Family Now Offers Spirit of Life Recovery Books! Thank you so much for being a part of this ministry! Over the years we have strived to be a credible, sound voice in Christian recovery, offering resources that stay true to God’s Word, while impacting people in a unique and profound way. We recently received the honor of having our resources made available on Focus on the Family bookstore. Focus has a rigorous set of standards, and we feel blessed they saw our material worthy of their stamp of approval. The books currently available through their website, include The Christian Codependence Recovering Workbook, Christian Families in Recovery and Breaking Point. Please consider supporting future book purchases through their website, or refer people to our resources using this wonderful acknowledgment. Need a little grace? We are excited to offer A House that Grace Built workshop in two formats this summer! We will be joined by people all across the country (and sometimes the world!) to study A House that Grace Built chapter by chapter. We will also do a corporate prayer session. One on one sessions will be offered for those interested. We will also offer a group leadership training session after the workshop is complete. Our Zoom software allows for a time of teaching but also group integration and chat. This class will be recorded (if it meets technology standards) and will replace some of our missing videos currently being housed. If you can’t join us live, you can catch up at a later time. This workshop is an intimate experience with other women who have a hunger for deeper healing. This is a group discussion “around the table” format that provides safety and structure for those who can make our live session. You will be studying A House that Grace Built chapter by chapter, ending with a celebration and graduation event. 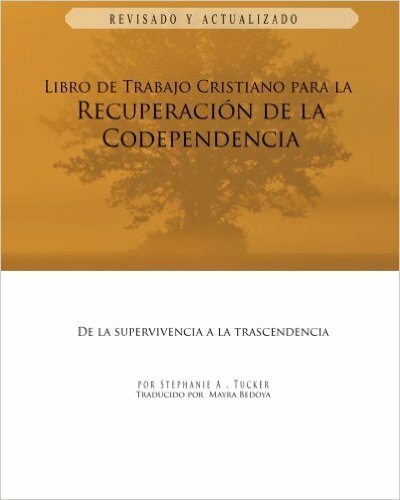 We are excited to offer The Christian Codependence Workbook: From Surviving to Significance to our Spanish-speaking friends! Already we have heard about it being planted in various Spanish-speaking countries and also right here in America. It is super exciting to witness. We received a specific donation to make this publication possible, we couldn’t do it without your support and prayer. It’s been a long time since I’ve been able to write about a class or event, but Fall is already here and we want to share some exciting new things we are offering at Spirit of Life. As many of you know, healing, recovery and life happens in seasons. We gain insight, tools and resources into our hearts and grow up in one area, and before you know it, God has more for us to explore, more for us to gain, more ways to grow in grace and truth. Honestly, it never, ever ends! Many years ago when I first met my husband he had a small recovery church that met weekly. It was astonishingly simple. In this setting we talked about a Biblical principle from the Word, shared our own life experience, and learned to be honest about the struggles in our heart. I was hooked. While I had encountered Jesus personally, I had never experienced anything like this in a group dynamic. This setting took me out of the bounds of my comfort but brought me into a life calling! I am passionate that this is how we get healing – in the safety and honesty of community! Our program and ministry has since evolved and ten years into it we’ve been able to witness the beautiful and life transforming experience of men and women when honesty, redemption and God’s truth merge. Bob and I have branched out in different ways. He now trains counselors and operates our treatment program. I have facilitated codependence workshops and a family program. But we never were able to recreate that same type of meeting until now. Thrive Night is going to allow us to facilitate a group together – where we will be focusing on redemption and healing from the struggles, losses, and issues of our heart – focusing on growth and connection as it relates to God and each other. We want the entire family to be involved when possible – and we are excited that our own family be doing Thrive together, including my two girls, Arianna and Isabella in our children’s program. There is hope, healing and restoration available in Jesus when His truth, His power and the gift of authenticity come together. If you feel dry, need to be encouraged, come! We are real people with real issues who have encountered a real God. We aren’t perfect! We get messy to get beautiful – so please don’t “dress up” – come as you are! We will pray for you, love you and encourage you in your walk with Jesus. Connection groups are optional, but we pray you will participate. This group is starting at a our office (it will eventually move). Because space is limited, please register or pop us an e-mail and let us know you’ll be coming! Childcare is available with advanced registration for kids 5 and up – and we will be having a child recovery program later this Fall. Live streaming options will be available. That’s not it, we also have a codependence recovery workshop being taught by Lynne, and I am starting the Biblical Family Recovery Coaching program too. To learn all about this and apply/register for any of these program, click here! We made it! This is our last and final class of A House that Grace Built. And this class puts everything in perspective. Eternity isn’t oftentimes the conversation piece we want to have, but in the Kingdom, it is everything. We simply can’t make sense of this world without the proper view. This class sought to seal everything up into a redemptive formula. Not only that, but our purpose now becomes more vivid when have the proper framing. My prayer is that you’ll run this race of life with courage and strength, not of your own, but in Jesus. Knowing who you are, who you belong to and knowing where you are going. In the end, your journey of recovery has more value than we can even comprehend. It is preparing us not only in the here and now, but also for that day when we will see Jesus face to face. Are you ready? What glorious hope that awaits us. For those of you following our classes online, this recording came out slightly delayed and has some slight audio breaks. They are minor, but just in case you are wondering when you are watching I wanted to make you aware. This class actually was about the principle of honor, and what an important truth. Of all the classes, this one may have struck the deepest chord in people. It is a critical and amazing truth to discover, and one I promise you will lead you into deeper levels of freedom once you grasp its nature. Honor cannot be bypasses as the center-piece of relationship skills. I pray this will bless you.